Out of the entire area of Southeast Asia, the archipelago nation of Indonesia has the region’s largest economy and is one of the most populated areas in the world. Behind only the European Union, Indonesia has the world’s fifth largest population and the world’s sixteenth largest economy by nominal GDP. Amazon sellers who are looking for a manufacturer to produce their products in cost-effective way can turn to Indonesia to fit their needs. It is estimated that Indonesia will experience an influx of around 60,000,000 low-income workers joining the country’s middle-class within the next decade. Considering that Indonesia’s consumer demand is already high for the region, any such injection of workers into the country’s labor force can only be seen as beneficial. Another statistic to consider is the total number of workers actively employed within the Indonesian labor force. Only three decades ago the labor force total stood at around 75,661,558 but has now grown to over 51,488,060. Experiencing a 68% growth of new individuals in the workforce, the country is booming more than ever with a total of 127,149,618. When comparatively looking at the wage rates of the entire region of Southeast Asia, Indonesia is the one that catches your eye. Although the minimum wage increase in Indonesia originally sat at around 37% in inflation-adjusted terms, the actual rate of increase was extremely reasonable and sat around 3%. Mind you, Indonesia has the lowest wage rates of all major countries, so this is extremely low when compared to other manufacturing hubs. Forecasters predict that Indonesia’s wages will increase around 48% ground in the next five years, but compared to the American worker, manufacturing workers in Indonesia are paid around 76 times less. That means that even in five years when an Indonesian worker will gain 18 times more pay, the minimum wage in Indonesia will still be only around $0.74 compared to $3.16 for a country like Vietnam. Indonesia is the only country in Southeast Asia to be a functioning democracy. Ever since the country’s democratic transition there is a new element of economic momentum and this has generated the country’s status as a role model for economic growth. With added momentum also comes significant regional autonomy and this had lead to Indonesia recording the second fastest growth rate of all G-20 countries at around 6%. Geographically speaking, Indonesia’s location on one of the world’s largest trade routes – the Strait of Malacca – is it’s most powerful quality. The Malacca Strait is responsible for nearly 40% of the world’s trade and sees nearly 50,000 merchant ships pass through each year. Nearly 90% of Japan’s total imports, over 80% of China’s barrels of crude oil, and about 1/3 of the world’s traded goods such as Indonesian coffee and Chinese manufactures navigate through the Strait. Perhaps best of all is the fact that Indonesia has controlling interest out of the three countries that govern the Strait. The cost of operational wages in Indonesia is a primary selling point. The average cost of a worker’s salary in Indonesia is $145.00 per month. This is $246.00 less than it would be in China, according to minimum wage standards. That means Indonesia has an operating cost differential of 63% of China’s minimum wage. You also bear additional costs when you end up hiring Amazon product sourcing agents in China due to the inability to distinguish between a manufacturer and supplier. This can be avoided in Indonesia by directly dealing with the manufacturer as there’s not much saturation of suppliers. 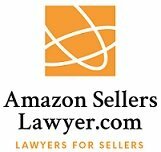 Michael Joyce is a contributing writer at Amazon Sellers’s Lawyers, a burgeoning legal service that provides counsel for Amazon sellers affected by complaints, seller account suspensions and marketplace violations.